"Mexican Stars" is a unique wall hanging or full size quilt using "straight seam piecing with curved results" methods. It's a beautiful little quilt that is easy to make and would pretty in many color combinations. Materials Included: Supply list provided after registration. Requirements: This is a 2 part class and must have at least 2 students that can be available for both sessions. 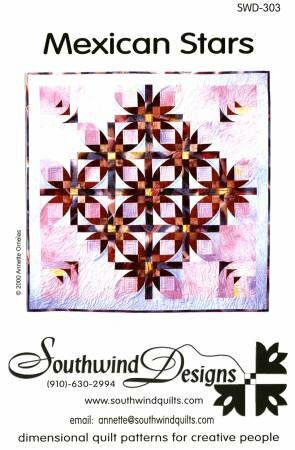 You may choose to do the wall hanging size or the full size quilt.